This strategic partnership aims to support the development of innovative practices in the education and training of individuals who are either seeking to expand their knowledge and expertise in relation to the internationalisation of social enterprise (SE) trading or are already engaged in social enterprise organisations and who wish to develop their capacity to trade their goods and services internationally and so enhance their sustainability. The target groups for this project are students/learners, teachers, trainers, partners institutions, other educational institutions, research centres, employers and their associations, third sector voluntary bodies and policy-makers, new social entrepreneurs, existing social enterprises & their employees seeking to develop their knowledge and expertise and achieve life long learning. The essential transnational perspective to the study is achieved by the eight partners involved in the project located in the differing regions of Europe coming together to develop for the first time a detailed picture that adds depth and colour to the previous work in this topic area so as to encourage social enterprises to not only think locally but act globally in trading their good s and services to become sustainable businesses capable of supporting their local missions. The project partnership (8 Nr organisations) is led by Glyndwr University, Wales and is both cross sectoral and pan European in its complexion as it includes four higher / vocational education college (UK, Ireland, Greece, Germany), four independent vocational training organisations (Lithuania, UK, Latvia, and Italy) and one social enterprise research/training agency (Wales). The establishment of the partnership will internationalise the operations of the partner organisations and further embed them in European and International networks. The cross sector nature of the project partnership ensures the open access multi-media inter-active blended learning materials and infographic and video and case study material will help to improve / internationalise high quality social enterprise formal programmes of higher education and informal further and vocational education / occupational adult training across Europe which is relevant to national and European labour market needs. The project partnership includes eight project partners coming from seven different western, northern, central and southern European countries. Partners are located in rural and urban environments in countries that have very different geographic, cultural, political and social characteristics. The cross sector partnership spans organisations involved in the provision of higher and vocational education, workplace training and community training and advice. As a result the partnership includes organisations that use differing instructional modes, and address differing age groups of targeted learners. In particular, it includes four Higher Education Institution (UK, Ireland, Greece and Germany) and four workplace training provider organisations (Lithuania, Latvia, Wales, Italy), active in the field of social programs for culture, heritage, disadvantaged groups, creative learning in urban, coastal and rural areas. 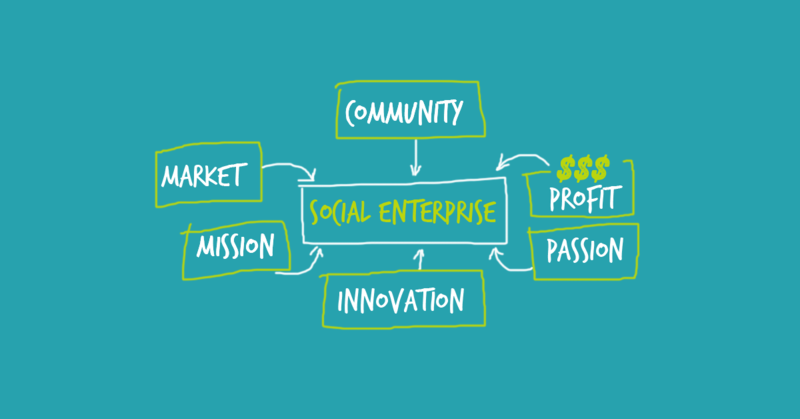 Despite such diversity, all partners share a common interest in social enterprise and its sustainability and are committed to the project’s objectives. All intellectual outputs will be available for free use for all. Awareness of their availability will be made via social and conventional media and tagged as free online courses. In all dissemination events (E1-E7) the audience will be informed of the free of charge use of the published materials. Hard copy and electronic leaflets and brochures will be prepared giving information about the InTSEnSE project and the internet address on which they are available and the free access will be highlighted. Although the project results would be publicly available there will be costs associated with the maintenance and administration of the platform and the web site as well as other administrative costs. These costs will be borne by D1 for a period of five years or until the InTSEnSE outputs are no longer valid due to future research into this topic area. Partners in this project will ensure that the InTSEnSE learning materials will continue to be offered on a free ware basis but additionally seek accreditation for the learners using the InTSEnSE project outputs to become accredited under the EQF or other national accreditation system. If this option is available, it is expected that the InTSEnSE blended learning course will become a reference for further work in this topic area.